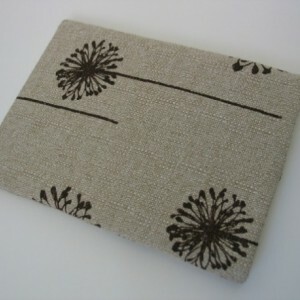 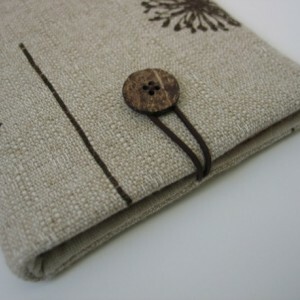 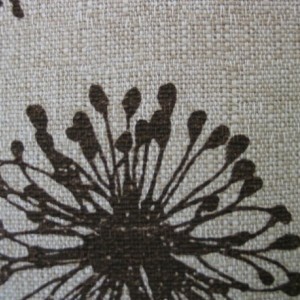 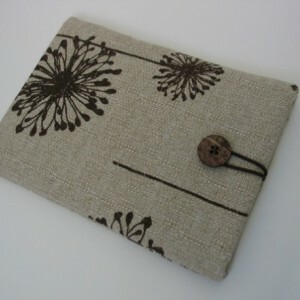 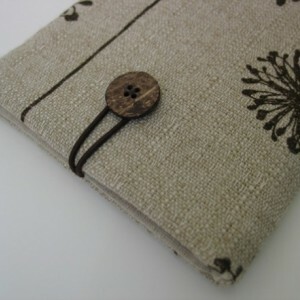 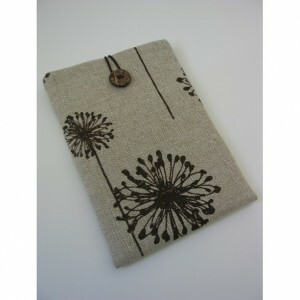 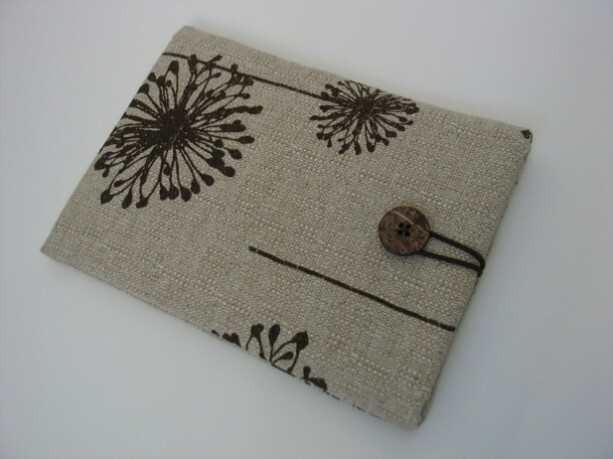 This sleeve cover, designed to keep your iPad mini protected from dust and scrapes, is made out of a beautifully textured, medium-weight canvas printed with dark brown dandelion silhouettes. 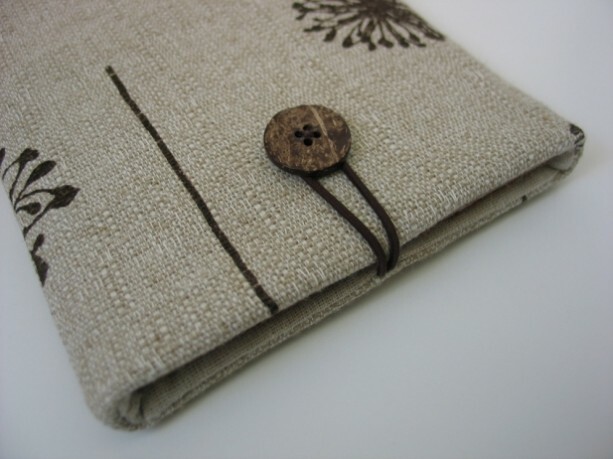 It is lined with natural, unbleached cotton and has a loop closure made of a dark brown elastic cord and a coconut wood button. 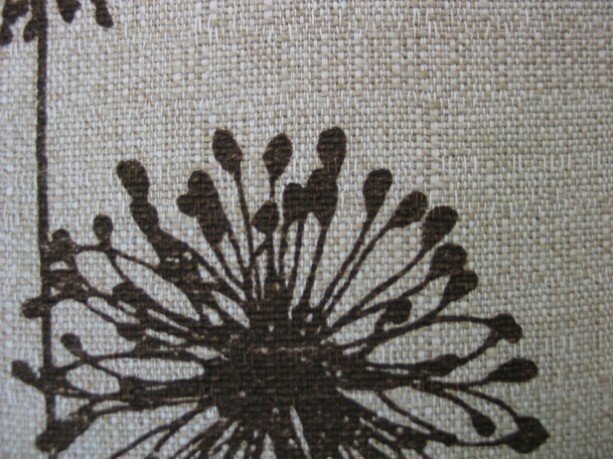 For extra protection an additional layer of U.S. grown, natural cotton batting has been sewn into the interior. 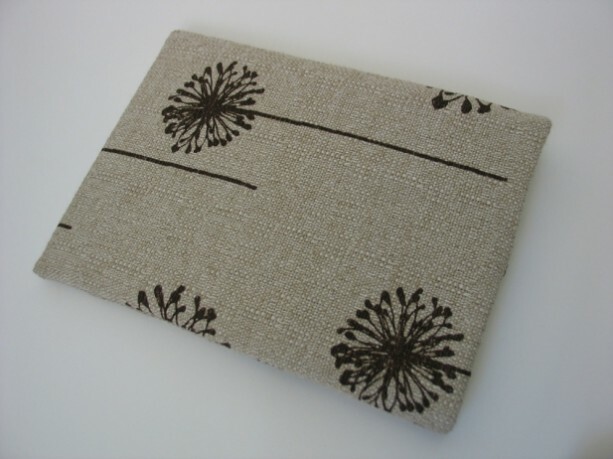 Due to the nature of the print, dandelion placement will vary. Note: this sleeve cover also fits the Kindle Fire HD. 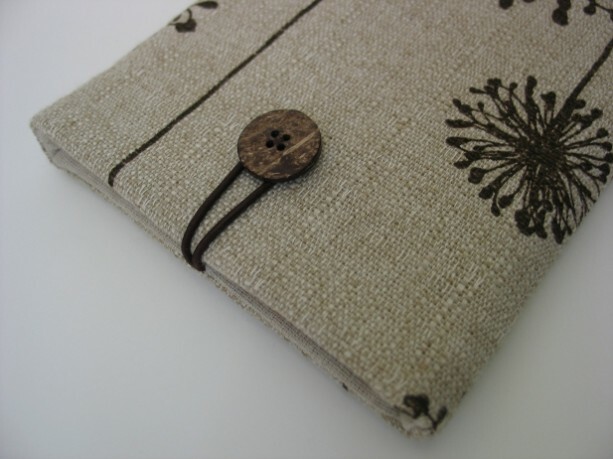 Handmade in California, U.S.A.